It’s always been my dream to write fantasy. Since I picked up Magic’s Pawn at a K-Mart when I was a tween (guy, horse – what more did I need?) and fell in love with the fantasy genre, I knew that’s what I wanted to write. One of the things I’ve done in 2018 is to break out of my romance writing genre and start writing the stories that spoke to me. Hidden is one of those. This is not the first contemporary fantasy I’ve written. It is the first published. I hope to go back and dust off those old books, edit them well, and get them out to you as well. But here, aided by my own two bearded dragons is my first offering in the contemporary fantasy space. I hope you enjoy. She’s going to have to learn to stay and fight if she wants to protect what she believes in. Studying for a semester in Costa Rica led clarinetist Tory McRains to stay in the country and make her life there. Things were simpler on her little piece of lowland rain forest with her cabin and playing gigs with her band. Then the Great Dividing occurred and magic was unleashed on the world. 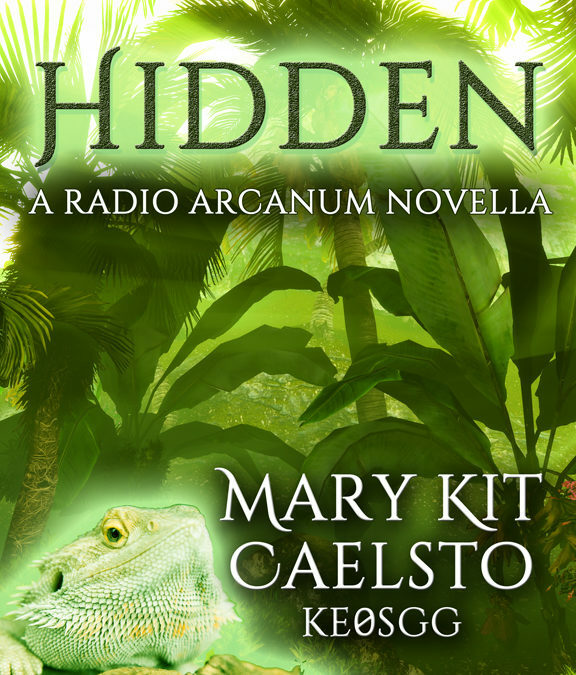 Secluded in the rain forest, Tory ended up with enhanced musicianship, a sometimes-sarcastic talking bearded dragon, and membership in a secret amateur radio society designed specifically for supernaturals. When a stranger approaches her one night after her gig, she learns she’s not alone and someone is after her. She’ll have to learn to use all the tools at her disposal if she wants to save her rain forest home, because this is one battle where she’s not allowed to run. Purchase on Amazon Buy your ebooks somewhere else? 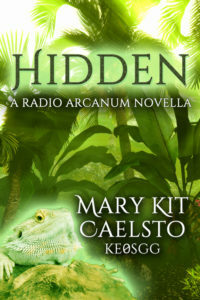 Hidden is available at your favorite store.